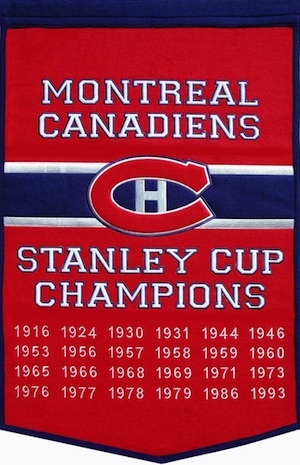 Part of the cornerstone "Original Six" NHL teams, the Montreal Canadiens are the most successful hockey team in league history with 24 Stanley Cup wins. While their winning ways have hit a snag in the last few decades, the Habs remain extremely popular with collectors and fans. Given their sizable following, the following guide has been created as a resource for those shopping for fans of the Canadiens. 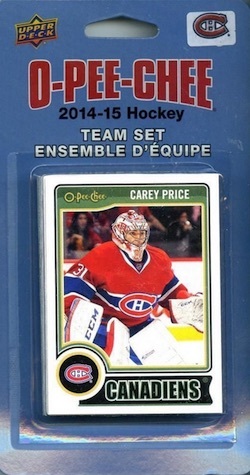 If you are looking for more detailed team information about the Montreal Canadiens from a collecting perspective, view our comprehensive Montreal Canadiens Collecting Guide. 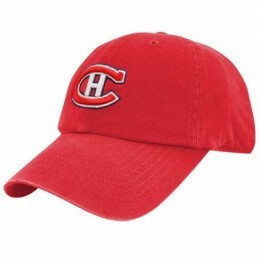 The list below includes 20 items that would each make a ideal birthday or holiday gift for a fan of the Montreal Canadiens. Both specific and more broad suggestions are shown and the various price points should be able to accommodate almost all budgets. This vintage beer advertisement print has a refined appearance and would look great in a man cave, bar or office setting. The focus of the framed ad is the 1931-32 Montreal Canadiens squad which was coming off of consecutive Stanley Cup titles in 1929-30 and 1930-31. Maurice "Rocket" Richard is a fan favorite and arguably the greatest player in team history. 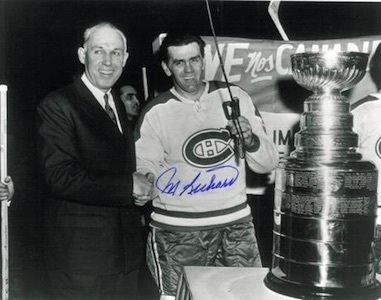 His death in 2000 has resulted in a dwindling supply of signed memorabilia, but gifts like the signed photo below would make a fantastic premium option for a super fan of the Habs. Another former great and Hall of Fame player for the Canadiens, Jean Beliveau is remembered for his class on and off the ice during his 20 seasons with the team. 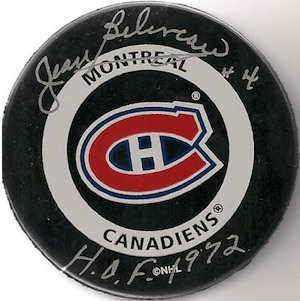 A signed puck is a ideal option where space is limited and despite his considerable relevance, autographed memorabilia prices for Beliveau are quite reasonable. 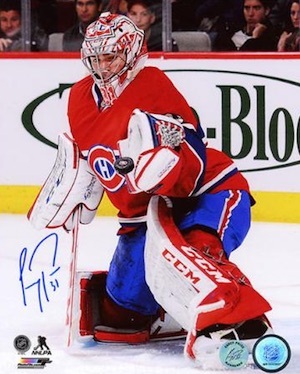 The current dominant force in goal, Carey Price is a main part of the group looking to reestablish their dominance. Modern fans would love to add this signed photo to their collection. Other current players who are popular gift options include P.K. Subban, Alex Galchenyuk and Brendan Gallagher. 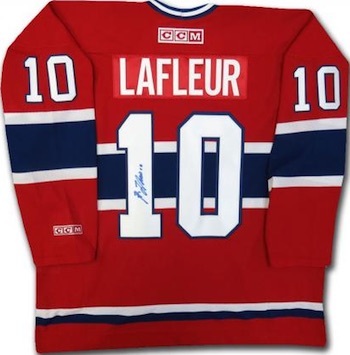 Although he did not end his career with the Canadiens, Guy Lafleur is one of the greatest Canadiens of all-time. An autographed jersey is a terrific gift and a noteworthy display piece in a game room or man cave. A defensive force, Larry Robinson is another in a long line of Hall of Fame talent found in the Canadiens' history. Hockey offers some of the more unique options when it comes to gifts when you consider the puck, hockey stick and masks. This signed stick for Robinson makes for a cool display piece that would be an appealing gift for a fan of the team. A more recent figure, Patrick Roy spent roughly half his NHL career with the Canadiens before finishing up with the Colorado Avalanche. Despite this, Roy helped the team claim two titles during his tenure with with Canadiens, including their last Stanley Cup win to date. Most fans would be thrilled to receive a signed photo from Roy as a gift. 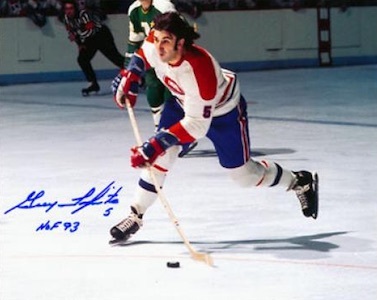 Guy Lapointe may not be as highly regarded as other players on the list, but the Hall of Fame defender spent the bulk of his career with Canadiens and was a key part of their six Stanley Cup wins in the 1970s. His signed photos make a great budget gift. Most teams would be satisfied with just five or ten titles to point to in their history, but the Canadiens have totaled an impressive 24 Stanley Cups wins. All 24 championship seasons are documented on this wool banner that would be a nice gift to display in a bedroom or man cave. 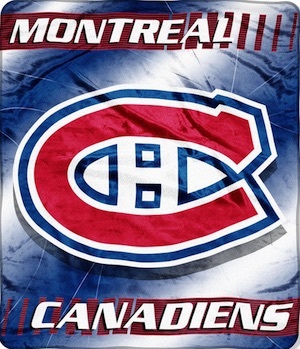 While it is not the flashiest gift option on the list, this colorful Montreal Canadiens blanket is very useful and would make an ideal budget gift or stocking stuffer. Another example of function over flash, an insulated tumbler is a convenient way to transport cold or hot beverages. 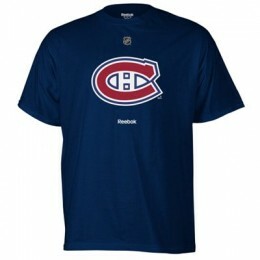 An easy gift would be to pair it with the blanket for a simple Montreal Canadiens gift pack. 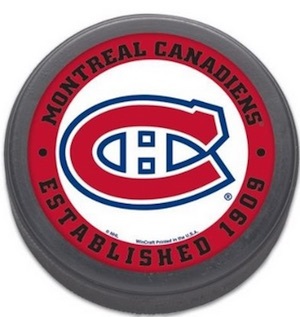 Simplicity at its finest, this team puck for the Canadiens is a solid present and can be used in a verity of ways. In addition to using it as a puck, the budget gift could be a fun paperweight on a desk, a simple display piece on a shelf or a great item to have signed. Hockey cards are a popular option for fans, but they are not as simple to buy because they are so specific. 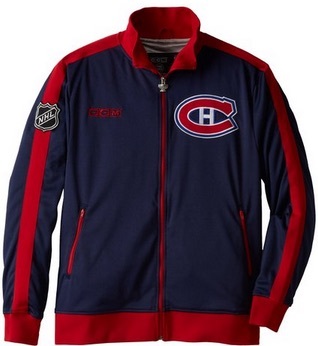 One option we recommend for budget gifts or stocking stuffers is Montreal Canadiens team sets. Some are sealed and some are hand-collated, but the result is the same. Make sure to verify the year of the card and the players included to make sure you are getting what you expect. 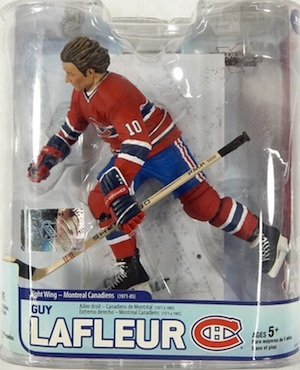 Whether shopping for a child or an adult, Montreal Canadiens figures and bobbleheads can be a great gift. Several different brands offer a variety of options and many players can be found from the history of the franchise. Check out specific figures on eBay using the links below. There are a good variety of different Montreal Canadiens team fatheads. 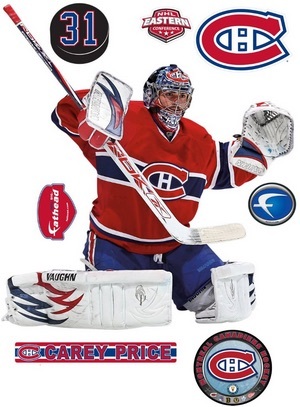 In addition to team logo versions, players are some of the top Fatheads and two of the most popular Canadiens are noted below. 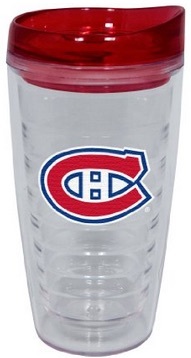 Smartphones are the new norm and can make for an easy and inexpensive gift for a Canadiens fan. Just make sure to verify the exact make and model before you buy. We have included direct links to Amazon below for the most popular phone models. 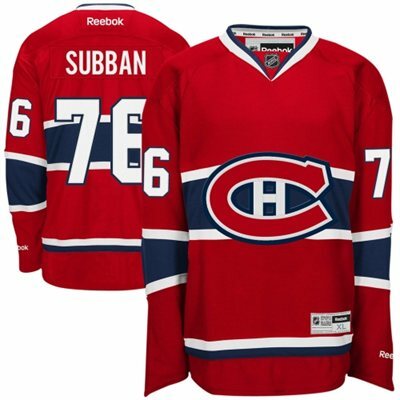 Jerseys remain the most common way for fans to display their love of the Canadiens. Replica versions offer cheaper prices and fans can also have them customized for added appeal. If you are overwhelmed by the many versions, check our detailed NHL jersey guide here.